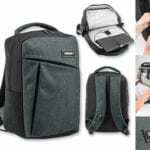 Polyester backpack for a laptop up to 15,6“, 600D. 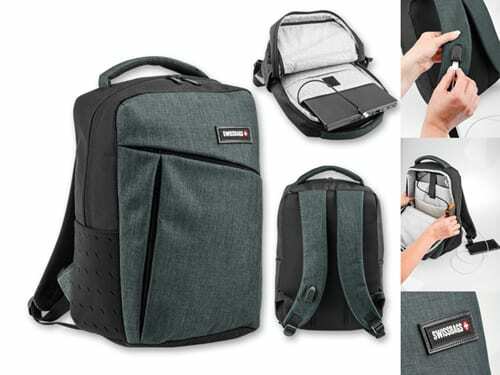 One main and 6 additional pockets, internal organizer. Inside padding for notebook. Output for powerbank charging. Powerbank is not included. Volume 17 l.